In my latest CultureMap contribution, I have given a detailed looked at the five pairs of jeans you need to own this season. 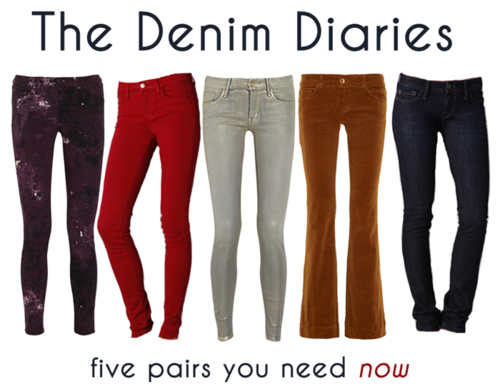 Check it out for the hottest denim, from coated to colored and more (and the pic above is just the beginning). Click here to read the feature!